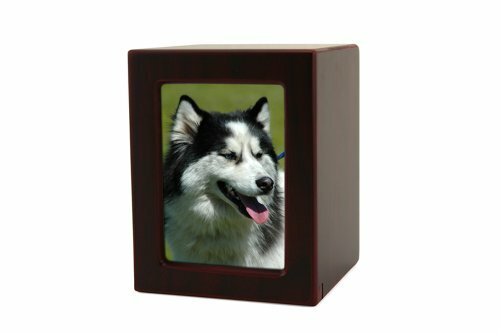 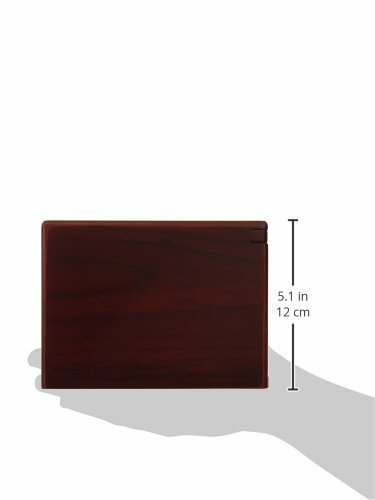 Our MDF Wood Photo Pet Cremation Urns are a beautiful and personal way to remember a beloved pet. Any photo can be placed in the frame and changed without disturbing the cremains. 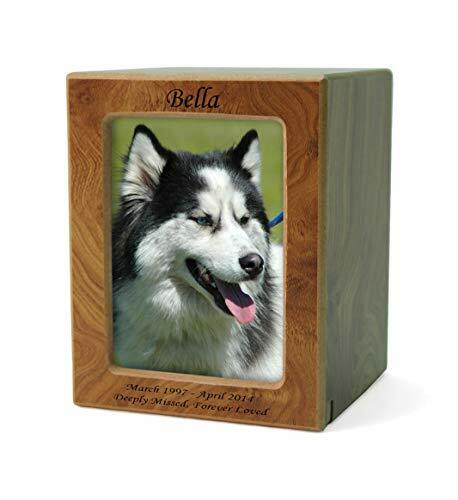 Our engraver can also personalize the urn for you with the text of your choice. 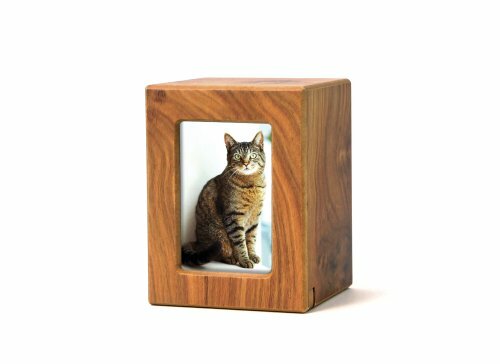 These economical MDF (Medium-density fiberboard) wood urns are an engineered wood product made by combining wood fibers with a resin binder. 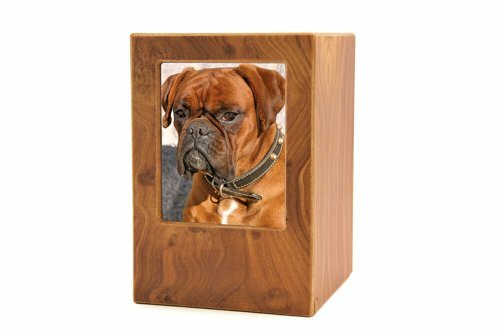 Our MDF cremation urns are wood veneered MDF. 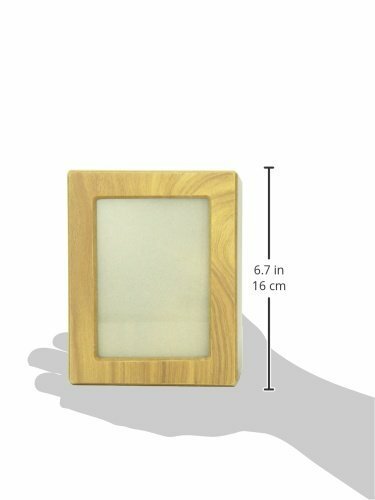 The veneers are real wood and are beautifully finished.